Get notified of our next event before we go public. Plus, visit our site for videos, past event pics, blogs & more! Maybe you collect shoes, or you're really in to cats, or music is your jam - fill me in! Eventbrite? Facebook? Friend? We'd love to know how you heard about us. Do you make purchasing decisions for your company? 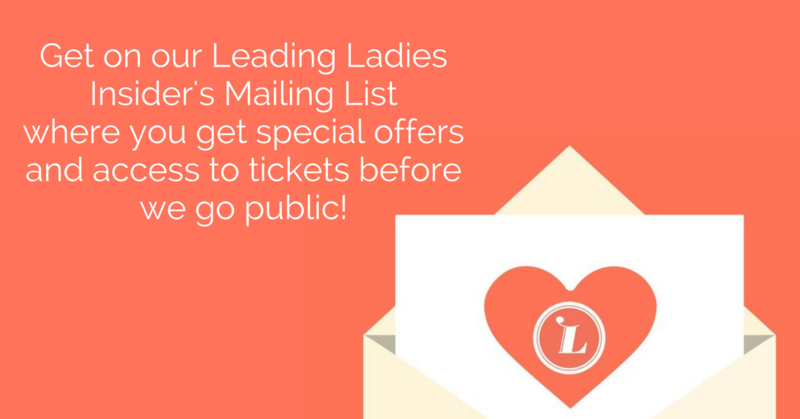 Have you attended past Leading Ladies events? Has your business benefited from this event? Are you a full or part time entrepreneur?